Will Pope Francis Be Forced to Step Down? 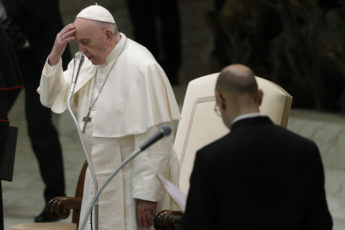 Today on Flashpoinrs: Will Pope Francis be forced to step down as a result of continuing revelations about his role in the cover-up of priest/child molestation in the US and around the world. Also Professor Isabel Nunez director of Purdues School of Education cheers on the striking teachers in Los Aneles and part three of our 15 part series, The Battle For Public Education in the 21st Century.